Anticoagulation (AC) is effective in reducing thromboembolic events for individuals with atrial fibrillation (AF) or mechanical heart valve (MHV), but maintaining patients in target range for international normalized ratio (INR) can be difficult. Evidence suggests increasing INR testing frequency can improve time in target range (TTR), but this can be impractical with in-clinic testing. The objective of this study was to test the hypothesis that more frequent patient-self testing (PST) via home monitoring increases TTR. This planned substudy was conducted as part of The Home INR Study, a randomized controlled trial of in-clinic INR testing every 4 weeks versus PST at three different intervals. The setting for this study was 6 VA centers across the United States. 1,029 candidates with AF or MHV were trained and tested for competency using ProTime INR meters; 787 patients were deemed competent and, after second consent, randomized across four arms: high quality AC management (HQACM) in a dedicated clinic, with venous INR testing once every 4 weeks; and telephone monitored PST once every 4 weeks; weekly; and twice weekly. The primary endpoint was TTR at 1-year follow-up. The secondary endpoints were: major bleed, stroke and death, and quality of life. Results showed that TTR increased as testing frequency increased (59.9 ± 16.7 %, 63.3 ± 14.3 %, and 66.8 ± 13.2 % [mean ± SD] for the groups that underwent PST every 4 weeks, weekly and twice weekly, respectively). The proportion of poorly managed patients (i.e., TTR <50 %) was significantly lower for groups that underwent PST versus HQACM, and the proportion decreased as testing frequency increased. Patients and their care providers were unblinded given the nature of PST and HQACM. In conclusion, more frequent PST improved TTR and reduced the proportion of poorly managed patients. Members for the THINRS Test Frequency Substudy Site Investigators Members are listed in the Acknowledgments. The online version of this article (doi: 10.1007/s11239-014-1128-8) contains supplementary material, which is available to authorized users. The authors want to recognize the Site Investigators at the enrolling sites that conducted the test frequency substudy: Baltimore—Carol Rudo, PharmD. Dallas—Peter Yunyongying, MD, Wen Lai, MD (past). Durham—Rowena Dolor, MD. Hines—Abdul Choudhury, MD. Loma Linda—Ronald Fernando, MD. West Haven (closed early)—Farid Jadbabaie, MD (past), Brian Abbott, MD (past). The authors also wish to acknowledge the following for the support and guidance they provided without which the THINRS study would not have been possible: Timothy J. O’Leary, MD, PhD; Acting Chief Research and Development Officer, Office of Research and Development; Grant D. Huang, MPH, PhD, MPH; Acting Director, Cooperative Studies Program; Ying Lu, PhD; Director, Palo Alto Cooperative Studies Program Coordinating Center; Mei-Chiung Shih, PhD; Acting Associate Center Director for Science and Technology and Senior Biostatistician, Palo Alto Cooperative Studies Program Coordinating Center. A complete list of the THINRS Executive Committee and Site Investigators is available in the supplementary materials for the main THINRS results paper, published in the New England Journal of Medicine, 10/21/2010. This material is based on research supported by the Department of Veterans Affairs, Veterans Health Administration, Office of Research and Development, Clinical Sciences Research and Development Service, Cooperative Studies Program, 810 Vermont Avenue, NW, Washington, DC 20420. Support for Dr. Matchar and Mr. Love was provided by a Singapore Translational Research Investigator Award from the Singapore National Medical Research Council [NMRC/STaR/0005/2009 to DB Matchar]. The views expressed are solely those of the authors and do not represent those of the Department of Veterans Affairs. Funded by the Department of Veterans Affairs Cooperative Studies Program; ClinicalTrials.gov number, NCT00032591. 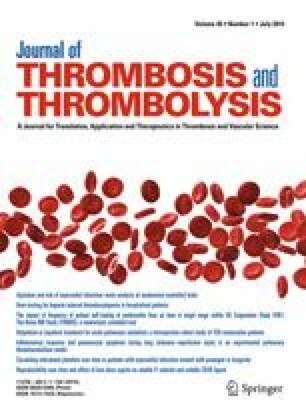 The preliminary results of this paper were presented at the final THINRS investigators’ meeting and as an oral presentation at the American Heart Association 2012 Scientific Sessions meeting (abstract #10606: “More Frequent Self-Testing of Prothrombin Time Results in Improved Time in Target Range”). For potential conflicts of interest: Dr. Matchar reports receiving consulting fees from Boerhringer-Ingelheim. Dr. Jacobson reports being an advisory board member for the Anticoagulation Forum and the Loma Linda Veterans Association for Research, receiving consulting fees from Biosite, Boehringer Ingelheim, Daiichi Sankyo, Farallon Medical, Hemo-Sense, Inverness Medical, Pfizer Medical, Quality Assured Services, Roche Diagnostics, Sanofi-Aventis, Tapestry Medical and the BMS/Pfizer Alliance, receiving grants or grants pending from Biosite, Boehringer Ingelheim, Farallon Medical, HemoSense, Inverness Medical, and Sanofi-Aventis, receiving honoraria from GlaxoSmith-Kline and Tapestry Medical, and receiving fees for the development of educational presentations and for serving on speakers’ bureaus from Boehringer Ingelheim and GlaxoSmithKline and the BMS/Pfizer Alliance, and receiving travel support from Biosite, Boehringer Ingelheim, Daiichi Sankyo, GlaxoSmithKline, and Sanofi-Aventis. None of the other authors have any potential conflict of interest relevant to this manuscript to report.